Carl Cox is touching down on US soil again this week when he embarks on a whirlwind US tour which starts tonight in LA where he'll perform at Exchange - a benefit event for Playground - a new camp at Burning Man. 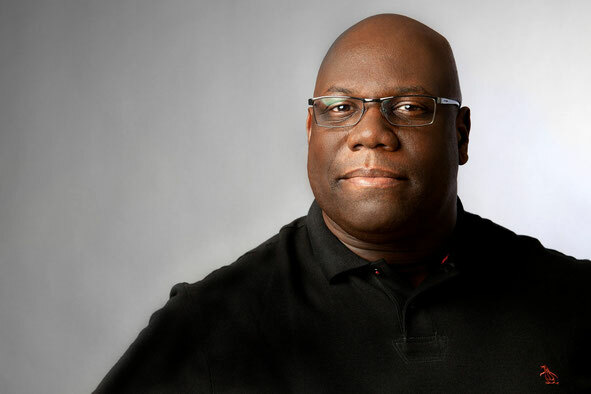 He'll make a welcome return to EDC New York on Saturday where his Carl Cox and Friends stage will be rockin' the masses and jet back across the continent on Sunday to begin his Vegas residency at Light. With no time to spare, he'll whiz back across the US to headline the main stage of Detroit's Movement Festival. 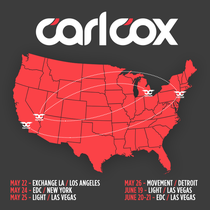 In June, Carl returns for another round performing three massive B2B shows in Las Vegas. First up on Friday is his club residency for Light, followed by consecutive nights at EDC Vegas. For more info, check www.carlcox.com.